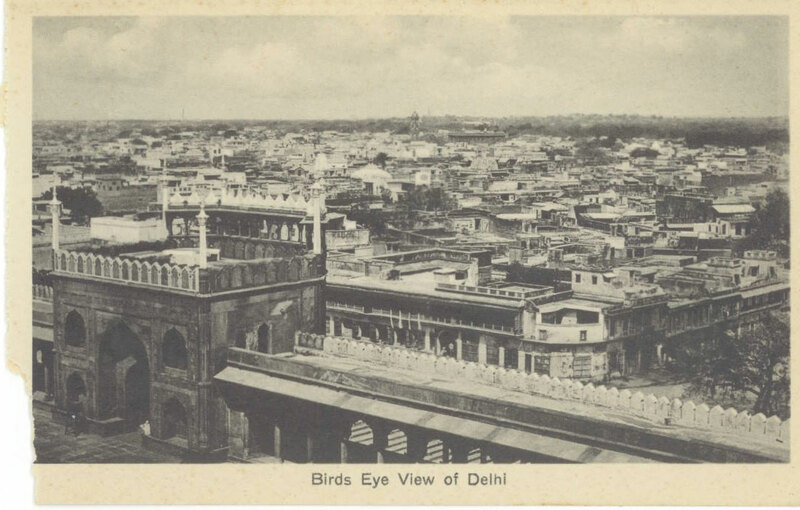 Back of card says "Birds Eye View of Delhi Shahjahanabad & Jama masjid. Mosque built by Emperor Shahjahan in 1658." Photograph contributed by Mr. Ben Collier ([email protected]) from the Estate of Frances Anna Goheen. She was born in Mahabaleschwar, India on 30 March 1891 to a missionary family.